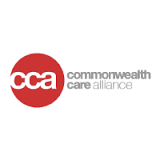 Commonwealth Care Alliance (CCA) is a not-for-profit care-delivery system committed to the provision of integrated health care and related social support services. CCA has been created as a “consumer-governed” organization offering a full spectrum of medical and social services for people with complex needs covered under Medicaid and for those (“dually eligible”) covered by both Medicaid and Medicare. It is CCA’s vision to bring people with complex medical- and behavioral-health needs, high-quality and personalized care resulting in improved health and better self-management of chronic illness, thereby reducing hospitalizations and institutionalizations. Older adults (65+) and Individuals with serious physical, cognitive or chronic mental illness. Senior Care Options (SCO) Program – provides a comprehensive range of health care services that best suits a person’s health care needs. Senior Care Options Program – must be MassHealth eligible. Commonwealth Care Connection Program – must have Medicare & MassHealth Standard.